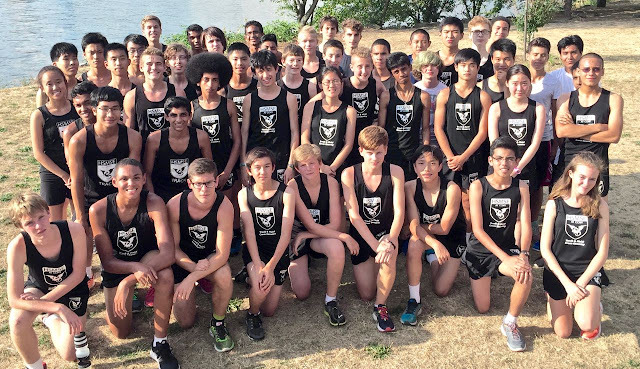 The boys and girls teams will be facing their first test this coming Monday in the borough-wide Grand Prix #1. Completing against some of the best teams in the city--Stuyvesant, Laguardia, Hunter, and Beacon--we will get a good sense of where we stand and how much work we have to do. The team is well prepared physically and is mentally focused for Monday's contest. The citywide Group Run (and Family Picnic) will be a few days later on Saturday, September 26. Here's a first group photo of the team and a link to our updated, and final, team calendar. 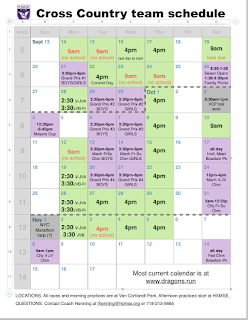 Click here for a PDF copy of the calendar.